Tsezguerra is an experienced Money Hunter and 1-Star Hunter. He is hired by Battera to beat Greed Island and also tests the people who want to enter Greed Island in order to earn the 50 Billion prize money. 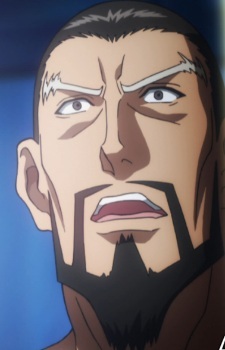 He and his team ally with Gon, Killua, Biscuit, Hisoka and Goreinu to take part in the dodgeball game against Razor. He and his team later engage Genthru's in a game of chase in order to buy time for Gon to train against Genthru's "Little Flower" ability and for Killua to heal his injuries.